﻿ Jackie O's Brewpub - Ohio. Find It Here. 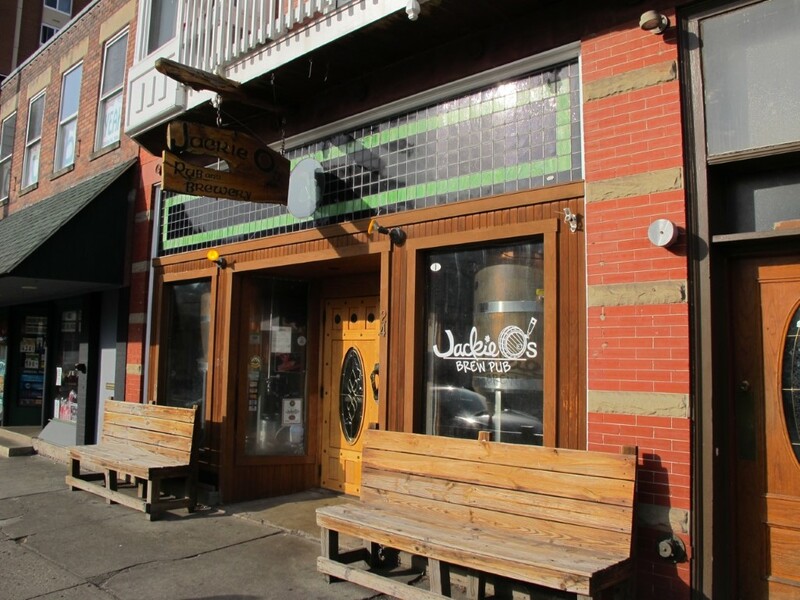 Jackie O's Brewpub has 18 different beers on tap, including a wide variety of creatively crafted artisan brews. The Brewpub also has live entertainment and a food menu that boasts fresh, local ingredients. There's a patio outback to enjoy your beers & meal on as well. Jackie O's also serves great food! Nearly all of our ingredients adhere to the 100 mile rule, meaning your food is prepared with only the freshest ingredients found within 100 miles of Athens.